Titanium alloys (Ti6Al4V) have been widely applied in modern aerospace industry as structural components due to their superior mechanical and physical properties. Meanwhile, the countersinking technology of fastener hole is indispensable to the fastener assembly of countersunk screw. However, the conventional drilling and conventional countersinking (CC) process of Ti6Al4V hole will be difficult due to its low thermal conductivity, high chemical reactivity with many cutting tool materials, and high strength, which can easily cause the rapid tool wear, premature tool failure, unstable cutting process with chatter, and poor machining quality of hole surface. This has attracted wide attention of researchers. In recent years, the rotary ultrasonic vibration machining (RUVM) technology, as a novel machining method, has been found to be very effective in the machining process of difficult-to-cut materials like nickel alloys and Ti6Al4V. 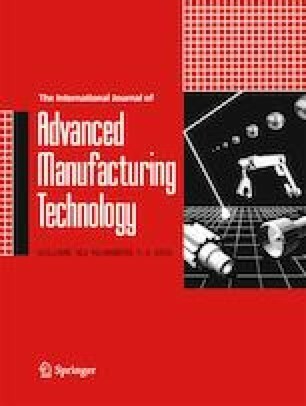 This paper first employed the RUVM technology to carry out the ultrasonic vibration countersinking (UVC) of Ti6Al4V, which was a new application of RUVM, and first presented a study on surface quality and tool life in UVC of Ti6Al4V. The experimental results indicated that compared with CC of Ti6Al4V, in UVC process, the maximum value of cutting force Fx and Fy as well as the thrust force Fz and torque Mz decreased by 56.5% and 35.2% as well as 20.6% and 12.8% respectively, the surface roughness of countersunk hole decreased by 41.2 to 42.3%, and the tool life of countersunk drill increased by three times; the cutting chatter of countersinking process was effectively suppressed, and the excellent surface integrity of countersunk hole was obtained in UVC. Moreover, the experimental results also proved that the UVC technology of Ti6Al4V was feasible and effective as well as the cutting effects of UVC were superior. (1) This paper first employed the rotary ultrasonic vibration machining (RUVM) technology to carry out the ultrasonic vibration countersinking (UVC) of Ti6Al4V, which was a new application of RUVM. (2) This paper first presented a study on surface quality and tool life in UVC of Ti6Al4V. (3) This paper first analyzed the cutting chatter reasons of conventional countersinking (CC) and chatter suppression mechanism of UVC. (4) Compared with the CC of Ti6Al4V, the UVC can effectively suppress the cutting chatter defect, enhance the cooling and lubricating effects of cutting fluid, improve the cutting stability and surface quality of countersunk hole, reduce the cutting force and torque, decrease the surface roughness of countersunk hole and tool wear of countersunk drill, as well as prolong the tool life during the countersinking process. The online version of this article ( https://doi.org/10.1007/s00170-019-03572-x) contains supplementary material, which is available to authorized users.